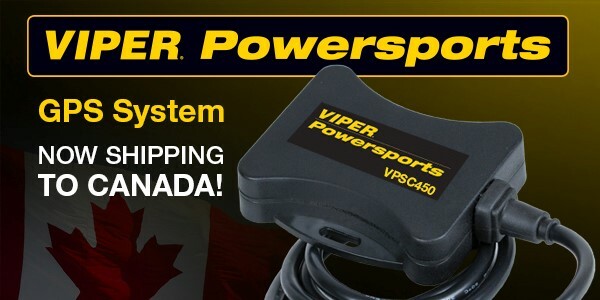 Press Release (unedited): LACHINE, Québec – Directed announced today it is now shipping the Viper Powersports GPS model VPSC450, custom designed for the Canadian market. The Viper Powersports GPS unit is weather-resistant, includes a starter kill, accelerometer, and works on all Canadian cellular networks. It carries an IP66 rating for protection against dust and water. The VPSC450 uses ultra-low current consumption making it compatible with the electrical systems on nearly all powersports vehicles. It features a full complement of alerts for the vehicle owner including towing, tilt, and tampering. A built-in backup battery offers additional protection and ensures the VPSC450 will still send alerts even if it is disconnected from power. Visit www.viper.com/powersports for more information. Directed will be showing off its Viper Powersports products at the SEMA Show in the South Hall Upper at Booth #37007.